Are you financially ready to buy a home? While hunting for a home in Canada, a rule of thumb often followed is that one can afford to spend three times of his/her gross household income. by the home buyer to obtain a mortgage for purchasing a home. What Do You Know About Us Why Choose Us? 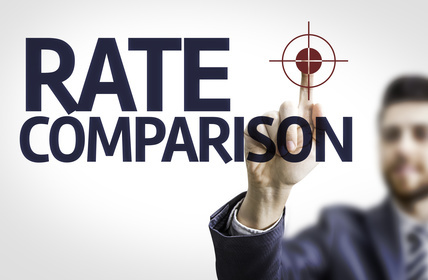 Ratetrade.ca is your one-stop shop for doing a quick search and easy comparison of prevailing mortgage rates in Canada to make smart financial decisions. We share knowledge, information, expert advice and easy to use mortgage comparison tools to find you the ideal mortgage rate. When you apply for a mortgage using our portal, we represent you to several reputed lenders and banks in Canada to assure you can compare from the best mortgage options available in the market. Have not enough words to extend my gratitude for the help that my family and I got from this site. Wish you all the best for all your efforts in providing people with the best of the rates. And promise you to refer all those who I know if they are looking for the best insurance and mortgage plan. Thank you so much for all your hard work in putting the things together. Mortgage renewal doesn't seem to be that easy the way you people have made. I was thinking it is going to be a tough game, but you people have kept it easy. Thanks very much for all your efforts. How Much Can You Afford for a New Home? Mortgage default insurance, popularly known as CMHC insurance in Canada is mandatory on high ratio mortgages, that is, mortgages with a down payment of 20 percent or less. Why use RRSP for Buying your First Home? RRSP enables first time home buyer to use his existing sources to make down payment. It may also allow the buyer to accumulate 20% as down payment, so he doesn't need to pay for mortgage default insurance premiums in future. How Credit Score is Built? A credit score built by a credit report prepared by credit reporting agencies in Canada. These are the private agencies engaged in collecting, storing and sharing information about how you use credit. Refinancing is often chosen an alternative by borrowers to either get a lower interest rate or access the equity out of their home. It is essential to know the cost of refinancing to take a calculated decision for refinancing. How to Calculate Debt Service Ratios? Gross debt service ratio and total debt service ratio are two essential figures considered by a lender to decide whether he should grant you a loan or not.